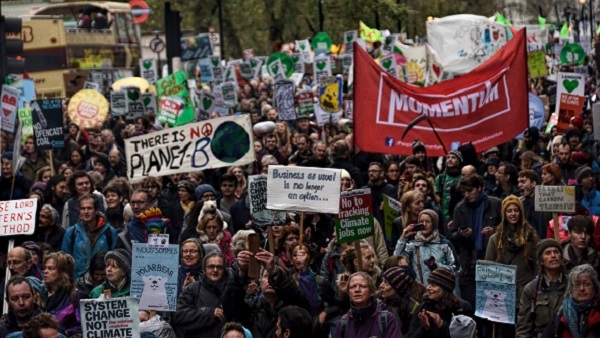 Climate March on Pall Mall. The United Nations’ Intergovernmental Panel on Climate Change(IPCC) has issued further dire warnings about the impact of man-made global warming. The purpose of the study is to “strengthen” the global response. The response to the IPCC warnings has been underwhelming. There are several reasons for that. First, very substantial questions exist as to the lack of scientific analysis of key factors. The IPCC continues to overlook essential points, including: To what extent do current temperature variations differ from those experienced in the past, particularly in pre-industrial times, and, if there is any significant change, to what extent is it due to human activity? A report by Dr. James P. Wallace III, Dr. Joseph S. D’Aleo, and Dr. Craig D. Idso questions the validity of key pro-global warming data, including that provided by NOAA, NASA and the Hadley CRU Global Average Surface Temperature Data, as well as The Validity of the EPA’s CO2 Endangerment Finding. The findings of those agencies essentially rely on the same flawed data. Dr. Philip Lloyd, a physicist researching climate change, has found that the variation in temperature over the past century is within the planet’s natural variability over the past 8,000 years. Lloyd formerly was a member of the Intergovernmental Panel on Climate Change. His conclusions are the result of ice-core based data. The revelations that key studies from both government agencies and academic institution, which have been central to man-made global warming reports, were falsified and/or misstated common sense questions, has shaken confidence in the accuracy of those advocating the theory. Questions such as why Earth’s temperature was warmer in the 10th Century AD, as well as in the era of the Roman Empire, have been ignored.